When I remodeled my kitchen last year I desperately wanted an island...a breakfast bar...anything, something for some extra counter and storage space. You know what everyone told me...No...No...No. Guess what? I did not get one and I have not forgotten...I long for my island. 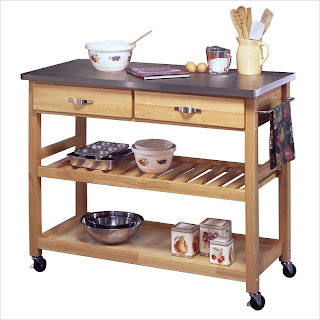 I have moved on...I have found a solution...now I want a gorgeous kitchen cart. Oh, I have been thinking about this long and hard...and I am "this close" to convincing hubby this is a good idea...no more than a good idea...a must have for our kitchen. 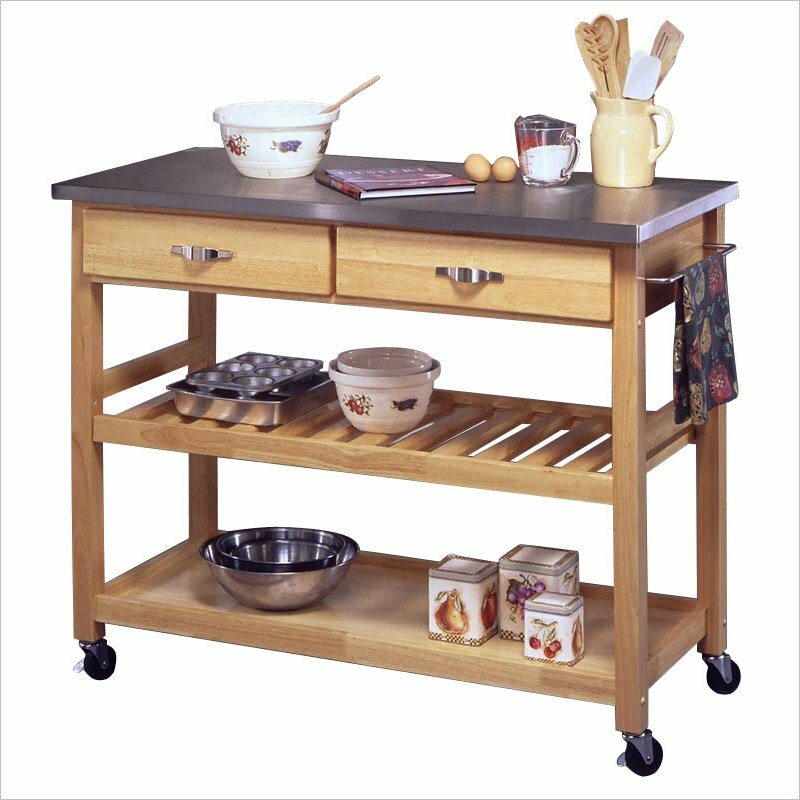 It just seems like a kitchen island cart is the perfect solution to my dreams in both style and functionality. Now to make a decision...I adore this stainless steel kitchen island cart, but I am not too sure if it is a tad modern for my kitchen or if the juxtaposition of its stainless steel top and clean design is what my kitchen is begging for. Oh and did I mention...it is on casters! L-O-V-E! So many possibilities I can easily see this Breakfast Bar in my kitchen. I imagine the kids doing homework here while I make dinner...I imagine setting out hors d'oeuvres on it when we have game night...and yes, I would be crafting on it too! So many gorgeous options...and any of them would be the finishing touch to my kitchen (which is almost one year old now!). 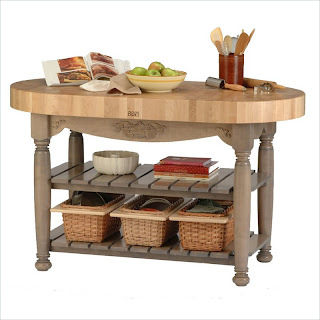 So what do you think...anyone have a kitchen cart or an island. Isn't it a must have for the modern kitchen? This is a sponsored post. Please read my full disclosure policy HERE. I think any kitchen that's lucky enough to have the space for a nice walkway around it deserves an island! I LOVE the black one! I love those...I personally would go for the island. Holly, I'm preferential to the country look. It has a comfy, cozy down home feel to it. We have a built-in island in our kitchen. 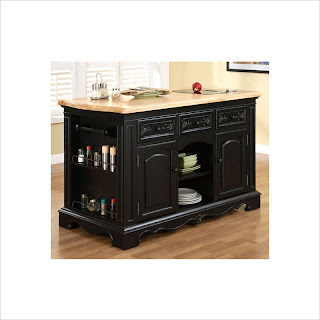 It's in the center of the room, matches the counter tops, and has storage below. There isn't a day we don't use it. 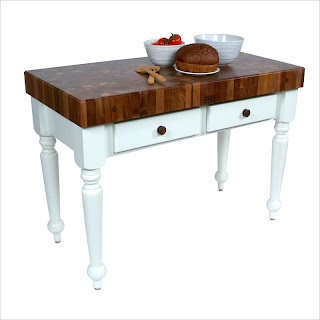 I like the marble top chest the best, but without seeing your kitchen don't know what works. On the other hand, I've always thought it looked so great to put a vintage looking piece in rather than try to match it all up. Let us see what you decide on! I HAD to have one in my kitchen too, the style I liked didn't have coasters so I added my own, it works great! I bought an antique buffet and had a piece of stone cut for the top. I love it as an island. The cart is a good solution Holly. The Mrs. would love an island, but our kitchen is just too small now. That last one is gorgeous. Love it. If your kitchen has enough room an island is the busiest and most used surface of a home. The kitchen is the heart of my home and my island is the pulse of my kitchen! I love the black furniture looking piece and the heavy butcher block with the white apron and legs! In our last house we had something like the rolling cart. It had a drawer, but otherwise no hidden storage. In this house, we have a stationary island (where I am sitting as I type this) with drawers and cabinet space. I loved both, but I much prefer the island. You KNOW I have a kitchen bar/island. I craft at it ALL the time. It's great for lots of things. I stand a lot when I work on things, so that I can move around. Even wrapping a present is a breeze (due to the height). No more leaning over with an achy back! go for it girl! 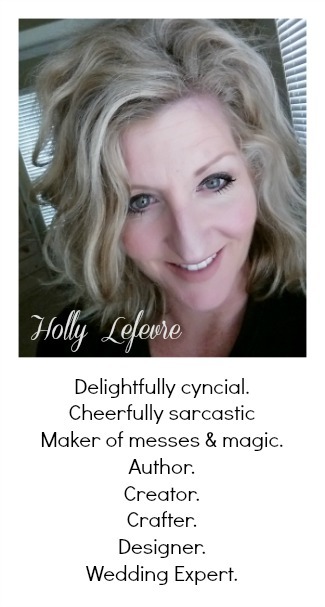 You will be so glad you did! Ohmygoodness, I'm in love with that last option....the black one! All of them are beautiful and a great solution!